Our eyes contain 3 photoreceptor cells (cones) to perceive three wavelength ranges of light. Here is a visual representation of the wavelengths by these receptors (S, M and L). So if we have light of 440 nm, it results in the color blue. If we have light of 540 nm, it results in the color green. If we see light of 650 nm, it results in the color red. Given that spectrum, I would suggest that the color 'blue' is actually a mix between the receptors S and M. And the pure result of activating the S-receptor would result in the color 'purple' (I would describe the color in the left of the image as purple, right). Therefore, the receptor colors should instead be RGP (red, green, purple) instead of RGB (red, green, blue). However, there is one problem with this which I cannot explain. How come that mixing red light with blue light also results in purple light? How is it possible that purple light can be achieved through mixing (additively) blue and red light, just as going to the shortest wavelength boundary of what we can see (from blue to ultraviolet via purple)? Purple is the color at the very shortest wavelength we can see. Purple is an additive mix between what we see as red light and blue light. That just doesn't make any sense. I don't see how our brain can possibly perceive this as being the same color. Shouldn't both purple colors actually be different colors (thus we would have a new different color for that)? UPDATE: Pure activation of the S-cone (blue) may actually give violet instead of blue. That means that the color blue contains also a bit activation from the M- and L-cones (green and red). So then the "blue-est blue" is actually violet, not blue. This confusion originates from the RGB-system (and other sources) that assume blue as being a primary color, whereas violet would perhaps be more accurate! Further details can be found in the accepted answer. The line of purples may further help to understand what purple/magenta/violet really is. The answer to this is to do with how the brain responds to the stimulation of the S, M and L cones in different ratios. This is best seen in the standard CIE XY chromaticity chart. The points on this chart represent different ratios of the stimulation of the three sets of cones. Increase the proportion to which the L cones are stimulated (compared to the other two), and you're heading towards the bottom right of this diagram. Increase the proportion to which the M cones are stimulated and you're heading towards then top. Increase the proportion to which the S cones are stimulated, and you're heading towards the bottom left. The various wavelengths of visible light (in nanometres) are found around the curved edge of this shape; and the colours on the curved edge are the "rainbow colours" - that is, the colours of monochromatic light, from violet at about 400nm to red at about 700nm. Most of the light we would perceive is not monochromatic, so we have a mixture of a whole lot of different wavelengths. The colours that we see when exposed to a mixture of wavelengths are found on the inside of this curve. For example, if we mix bluish-green light (500nm) with yellowish-green light (560nm), we'll see a colour that lies on the line segment joining "500" on the left side of this diagram with "560" on the right side. There's a variety of shades of green along this line segment - and you can get to all of them by changing the proportions of 500nm light and 560nm light. Now, colours such as purple and rosey-pink are not found in a rainbow, so they can never arise as the response to a single wavelength of light. But they are found in this diagram, along the straight edge at the bottom. These colours are the brain's response to a mixture of wavelengths that don't match any single wavelength of light. So the way to make light that appears purple is to mix the 400nm violet light (or even blueish light with a slightly longer wavelength) with the 700nm red light (or even orange light with a slightly shorter wavelength). By changing the ratio of these two, you can get to any of the colours near the straight edge of this diagram. These are results from Bowmaker & Dartnall (1980). Relevant reference: Bowmaker, J.K., & Dartnall, H.J.A. Visual pigments of rods and cones in a human retina. Journal of Physiology, 298, 1980, 501-511. It seems that the L-receptor is actually more active at the very shortest end of wavelengths than it is for just longer than what we can see as visible light. You can see curve of red going up towards the short end of the wavelength axis. 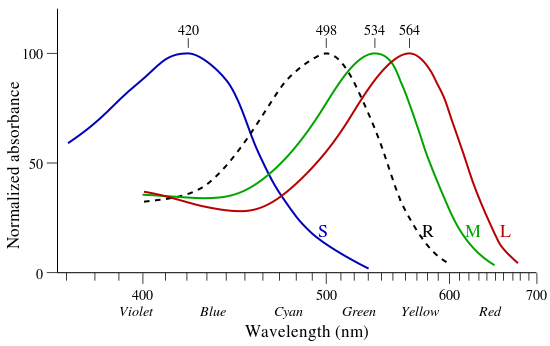 The L-receptor (associated with red) activation is not a bell-curve over the linear wavelength axis (as one would expect). That would explain the little bit purple-ish blue we see at 400 nm! So luckily the brain is not freaking out, but the receptors are just a bit strange, probably with the goal to distinguish blue from more blue (from a functional view of 'evolution'). Note that it is logical that this is not the case on the right (longer wavelength) side of the graph, because there red is accompanied by green closely. Thus we can distinguish red from redder by the mixture of green. Your problem arises because you are mixing two different frameworks of reference for the word color, the biological, and the physical. The physical colors of the spectrum have one to one correspondence with the specific wavelength given in your picture. If you have two beams of pure 450 nanometers and another of 700 nanometers and throw them on the same screen your eye will see purple, because your eye is in the biological framework. A spectrum analyzer in the place of the screen will see the correct percentage of 700 and 450 wavelengths, because a spectrum analyzer sees the physical quantities. Adding light with two wavelengths does not create a new wavelength, the way that adding apples and oranges does not make pineapples:). In short the color of the spectrum comes from the underlying physical framework, but human perception generates colors that are combinations of primary spectrum colors. The correspondence is not one to one. One wavelength gives a fixed color perception, one color can be a combination of wavelengths. But is there any morphing or mixing of the constituent wavelengths? The colour of light is defined by how it looks. The light at the short wavelength end of the spectrum is violet, not purple and violet does not look the same as purple. We actually have red, green, and violet cone cells. Stimulation of just red cone cells makes us see red. Stimulation of just green cone cells makes us see green. Stimulation of just violet cone cells makes us see violet. We see blue when red cone cells aren't activated at all and violet cone cells are stimulated the right number of times more than green cone cells. If you combine red light and blue light in the right proportions, you get purple light. That means violet is actually a deeper version of a bluish purple. Sometimes when somebody sees violet light, they don't notice that it looks different than purple because they're not very observant; it's close to purple; and they can't imagine seeing a deeper version of a colour than that which can be made by combining red, green, and blue light. This is how I understand things. I will not assume, that our eye cell cones are more sensitive to violet rather than blue. Violet and blue are just labels, that people use. I think I see Your point, but we need to better define the colors. I think I understand our ability of the brain to mix the results of the signals of these receptors, producing colors like yellow. The eye of average human only has three distinct types of cone cells. Let us call them red, green, and blue. Thus, we actually can only see three colors. What You call yellow is not yellow per se, but the combination of red and green that You can see. If You had yellow cone cells, I suppose, You would see a color You have never seen before. And You may not be able to imagine a color, that You have never perceived in Your life before. The same goes for colors like, orange, purple, violet, cyan, etc. 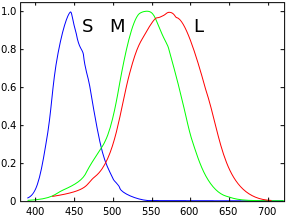 In the figure with the visible spectrum, that You posted, it does look like "yellow" is between red and green, "cyan" is between green and blue, but "purple" (as well as "violet", "magenta") is not between blue and red. It is at this moment, that we must understand, that no average human being has actually ever witnessed true "purple" (as well as "violet", "magenta"). We simply call a mix of red and blue that way, but what we see is actually red and blue at the same time. What is color, really? Color is a type of information. Just like information, it can travel at the speed of light. Furthermore, color propagates in form of light, where light consists of photons, and thus photons carry colors. We can associate a color a photon carries with the energy or frequency of that photon. Photons interact with matter in different ways (absorption, reflection, transmission). Eye cone cells are made of matter and can absorb photons. Different types of cone cells absorb particular photons better. When red photons interact with Your cone cells, their energy is best absorbed by the red cone cells, stimulating further signals within the neural network of Your brain, that Your brain then associates with the qualia of red color. In reality though, it is information of red color, that gets read by Your eye and further processed and stored by Your brain. I may be completely wrong about this, but I feel like the chart is backwards. Perhaps we should not be measuring light in wavelengths since the length of the wave is the inverse(?) of the amount of energy it is carrying. So, blue light has a short wavelength - a high energy. Adding anything to that amount of energy should result in a higher amount - a shorter wavelength i.e. violet. Experimenting with this concept proves to be inconsistent :( But I do wonder how the amount of energy carried along the wavelength plays it's part. Not the answer you're looking for? Browse other questions tagged visible-light biophysics vision or ask your own question. How does light combine to make new colours? 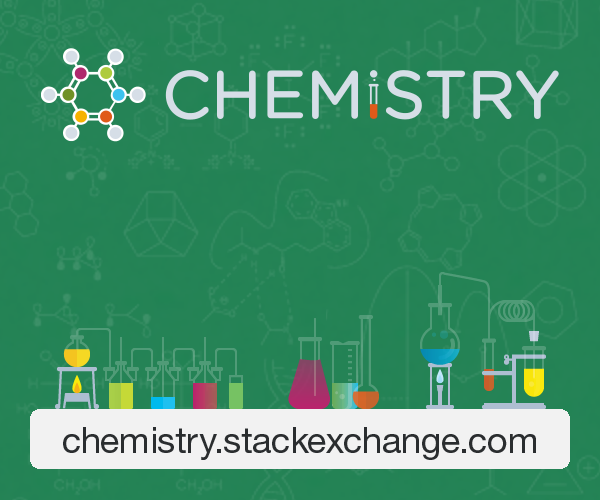 Why do we perceive a mixture of blue and yellow paint as green? Why does light of high frequency appear violet? Is there such a thing as purple light? Why both yellow and purple light could be made by a mix of red, green and blue? How we are able to see red and green colored objects simultaneously if combination of red and green produces yellow? Why does violet (purple) color contain red component? How can we see violet color when its wavelength is smaller than blue? 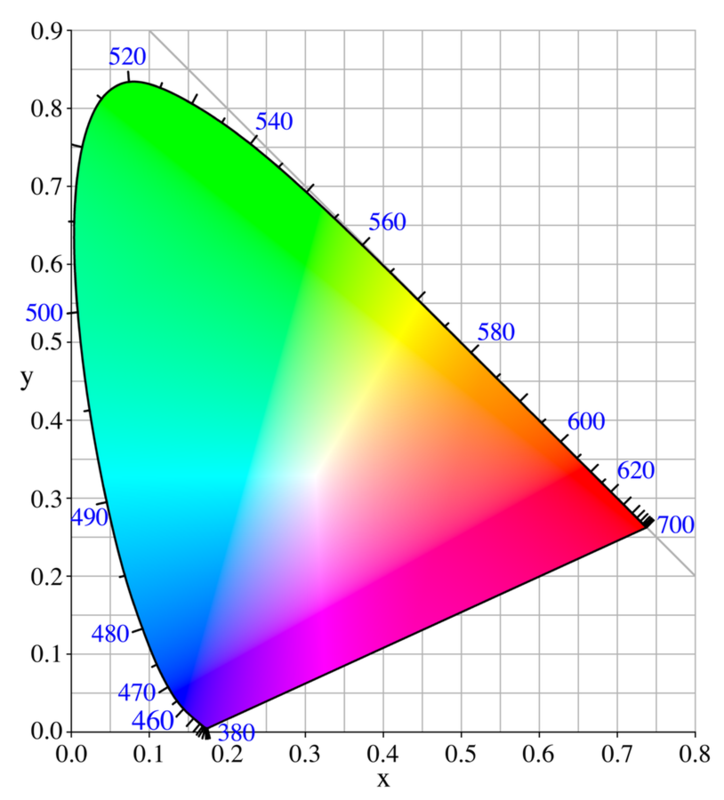 Is human eye sensitive to red, green and blue wavelengths, and if not why does RGB work for color reproduction?